DENVER, Colo. and PORTLAND, Ore.— Asheville, North Carolina-born Thirsty Monk, brewer of Belgian-Rooted Modern Ales and operator of world-recognized craft beer bars, announced today its expansion into Denver, Colorado and Portland, Oregon. Brian Grace, former Crooked Stave Head Brewer and Jolly Pumpkin Production Manager, has been hired as Head Brewer of the entire brewery group to assist with this growth. He will be based in Denver. Asheville brewing operations will remain under the tutelage of Norm Penn, who has been promoted to Vice President of Thirsty Monk. Thirsty Monk Downtown and Biltmore Park will continue to serve the growing selection of Thirsty Monk beers along side curated, rotating guest taps. “As our Brother Noah Belgian Chocolate Stout is brewed in Asheville using chocolate nibs from our friends at French Broad Chocolate, Brother Noah brewed in Denver will utilize a local Colorado chocolatier and Brother Noah brewed in Portland will be made with local Oregon chocolate. “Imagine that vertical tasting!” says Penn. Thirsty Monk will close on the purchase of a 12-Barrel existing brewery in Denver this month and will start immediate beer production there. Plans include a remodel of the existing taproom, slated for grand opening after Thanksgiving 2017. Head Brewer Brian Grace will be based in Denver, brewing Thirsty Monk beers and spearheading the creation of open fermentation, barrel aging and sour programs. Brian Grace began his brewing career with Moylan’s in California before heading to Jolly Pumpkin in Michigan and then Crooked Stave in Denver. “We are so excited to have Brian join our Monk family, not just because he’s a well-respected Head Brewer, but also, he’s a creative and kind person. Good people make better beer,” says Bialik. 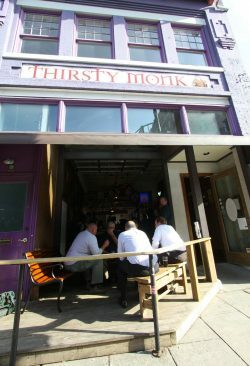 In November, Thirsty Monk will close on the purchase of a well-known Portland beer bar. Operations will continue under the Portland location’s existing name until sometime early 2018, when it will shift to serve Thirsty Monk beers out of Denver. Thirsty Monk also plans to install a small batch brewhouse in its Portland location, and serve a selection of guest taps while brewing operations get going. “We’re expanding Thirsty Monk in a whole new way, linking a network of localized brewing hubs. Smart growth, craft-style. No need to sell the soul to expand. Our soul, creative spirit and community roots are what we and our beers are all about,” adds Bialik. 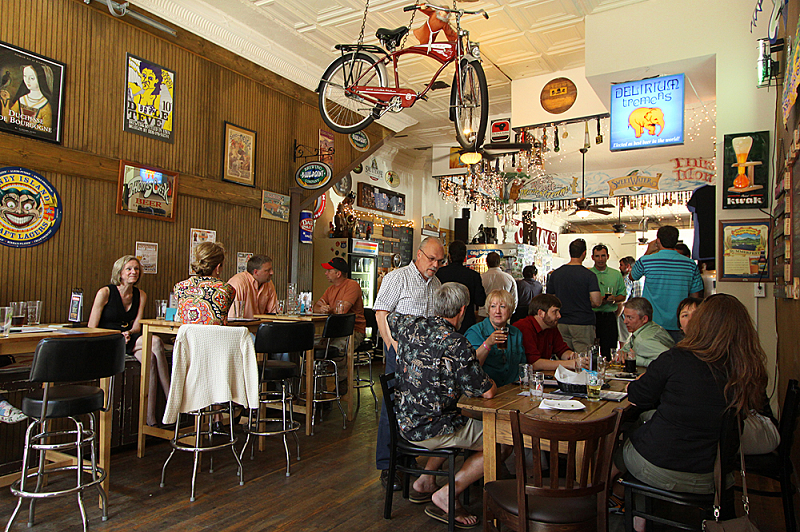 For more information about Thirsty Monk’s expansion, contact Emily Hutto at [email protected]. Thirsty Monk, founded in 2008, brews Belgian-Rooted Modern Ales in Asheville, NC, a world recognized craft beer destination. Thirsty Monk currently operates Thirsty Monk Downtown, Thirsty Monk Biltmore Park, Top of the Monk craft cocktail bar, and Brother Joe’s Coffee Pub, all in Asheville. Find the company online at monkpub.com.